Vehicle wrapping and car vinyl wrapping is the process of changing the colour of a car or applying a design to the vehicle using sheets of vinyl wrap applied over the existing paint. The car wrap can come in a variety of colours and designs, meaning you can completely reinvent the look of your car without the pressure of permanent commitment. As the name indicates a full colour wrap is the complete coverage (or select panel coverage) of a car or vehicle. Full coverage can include or exclude any elements you want and include any colour combinations per panel. Say you wanted your car to have carbon wrap mirrors and roof to go with a red body wrap, you can do that. Or if you just want a roof and bonnet wrap that’s perfectly fine to. It’s up to you to choose your preferred design, and us to provide the expert application. Keep in mind the more varied the design the chances are the cost will also increase, or the simpler the design, the cheaper. Cost scales with material type and amount used, as well as the complexity of the vehicle. Custom design wraps are similar in application as they can cover the entire body of a car but different in setup. Custom designs need to be custom printed on vinyl wrap, which means they have to be designed on computer and cut specifically for each body panel. Custom designs can do anything from showing off a business to reimagining you car to look like an icon (see our martini wrapped 911 below). 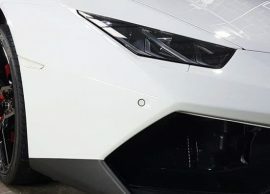 Custom vinyl wrap designs for cars and vehicles need to be applied with a considerable amount of care and attention to detail, even if the design is off by a millimetre between two panels it can ruin the look, and infinitely bug you to death. We years of experience and hundreds of happy customers who can attest to our good work. We only use high-quality materials for our customers as we refuse to compromise on quality. Whereas lower grade wraps will be cheaper they will not stand the test of time and will often flake and ruin the look of your car. We only use premium quality vinyl such as 3M or Avery, which, coupled with our expertise and craftsmanship, ensures the best quality finish every time. This attention to detail and refusal to compromise on quality ensures longevity, so you can be confident that your vinyl wrap will stand up for a long time. 3D/4D Carbon Fibre and the latest Gloss (True Effect) Carbon Fibre– These options will give your vehicle a true look of carbon fibre. Matte Colours- Make your car stand out with a unique matte finish. Gloss Colours- Choose from 100's of different gloss or metallic colours. Chrome Colours– Chrome is available in more finishes than you might expect - Blue Chrome, Gold Chrome, Black Chrome and more. Paint Protection (Clear Vinyl)- Protect your original paintwork from scratches and stone chips with our clear vinyl wraps. 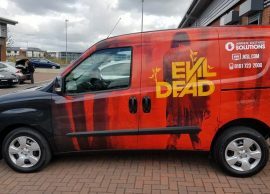 As well as offering you unlimited options for customisation and personalisation, vinyl wraps are a fantastic way of protecting your vehicle paint and bodywork. Scratches and stone chips are absorbed by the vinyl wrap, preventing marks and damage to your delicate paintwork. And if it’s solely protection that you are looking for, then why not ask Wraps & Tints about our paint protection options? We can apply a clear vinyl wrap to your vehicle to give your paintwork extra protection against scuffs, scratches and chips.